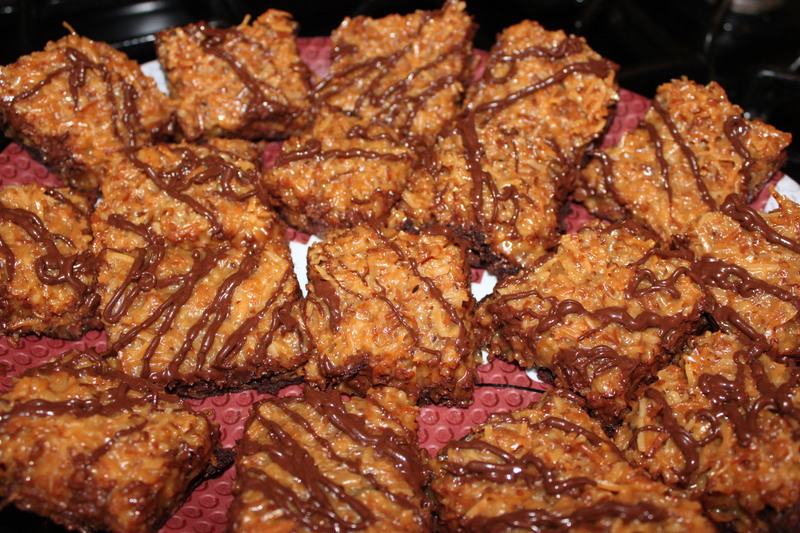 After making homemade Samoa bars, I had all the ingredients left to make another batch, but wanted to try something different. The coconut/caramel layer was without a doubt the best part of the bars, so why not recreate that layer – on top of brownies?! Right? Right. 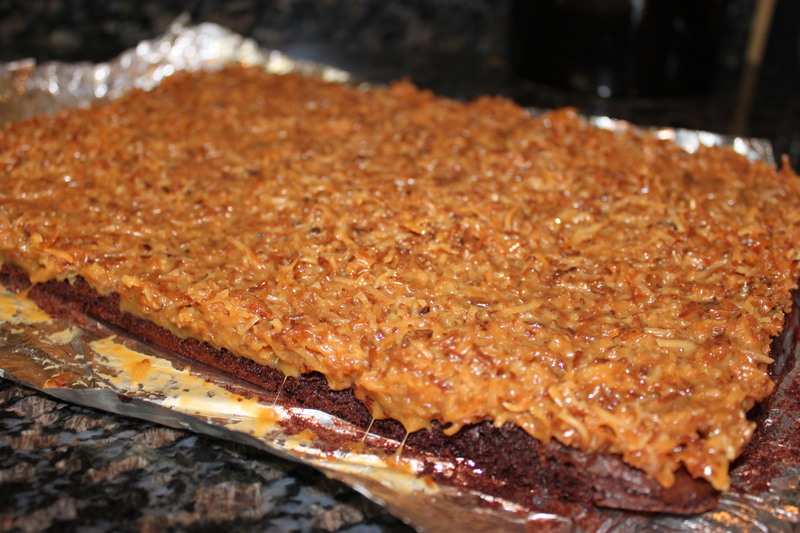 Following the directions on the package, make the brownies and bake in a 9×13 pan. Set aside to cool. Preheat oven to 300. Spread coconut evenly on a parchment-lined baking sheet (preferably one with sides) and toast 20 minutes, stirring every 5 minutes, until coconut is golden. Cool on baking sheet, stirring occasionally. 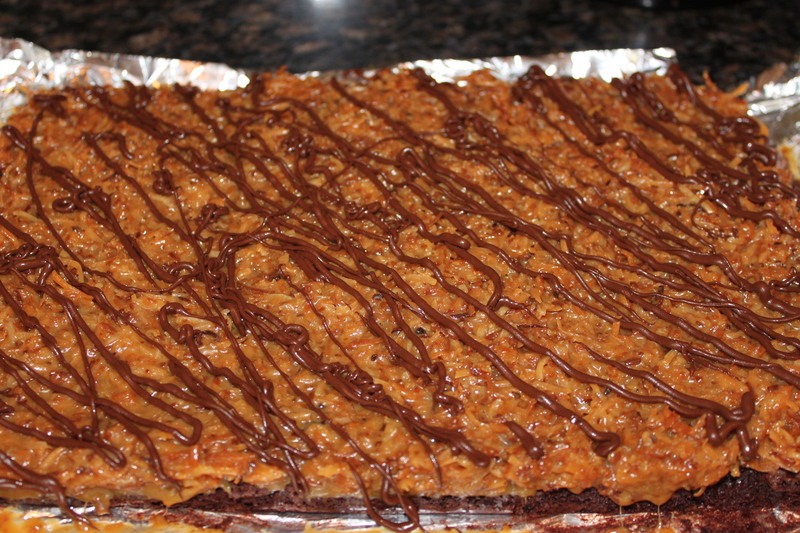 Put dollops of the topping all over the brownie layer and spread into an even layer. 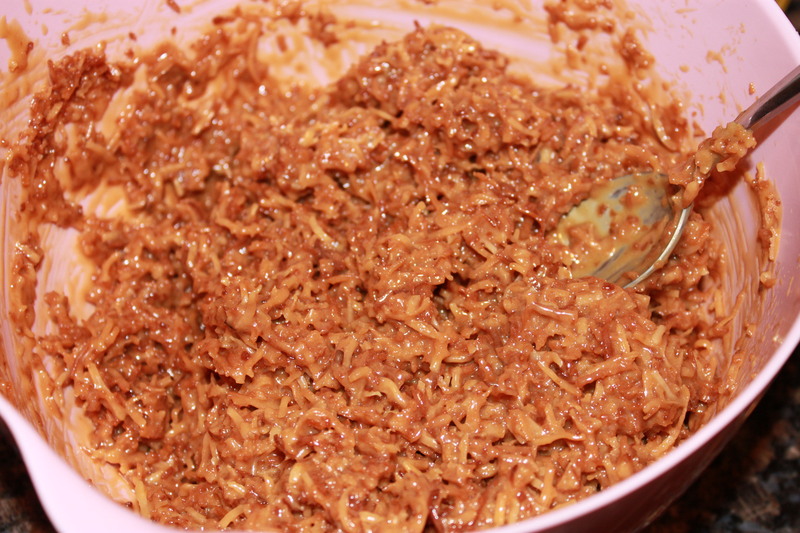 Melt chocolate chips and drizzle over coconut layer. Cut into squares of deliciousness!